The very first thing will come in your mind when you read the title is WHAT ??? Then Is it possible ??? Are you sure??? Selenium and windows desktop??? If you recently updated to selenium version 3.0 then you may face issue for lunching Firefox browser. Like other browsers you have to use driver for Firefox as well if you are using selenium version 3.0 and above. Mozilla has released geckodriver. You can download the latest executable on the GitHub page. Read more about selenium 3.0 here. Now you can do practice, try snippets on our sample test-page. Now-a-days mobiles are playing most important part in our life. Using mobile web and apps your needs are just one touch away from you. In future people will get everything they want using their mobiles. So as a QA it is our responsibility to deliver quality products on mobiles to the users. Before delivering product we need to test it on multiple devices as there are variety of mobile models available in the market. Obviously manual testing has its own drawbacks, NO NEED TO EXPLAIN! 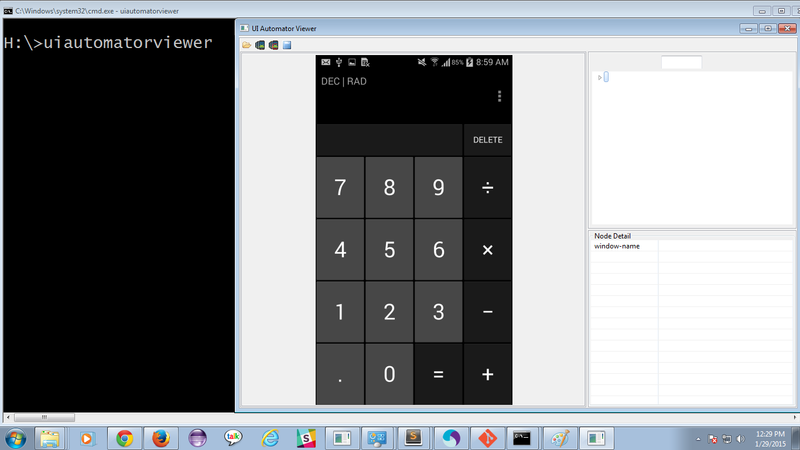 So instead of testing the applications on multiple devices manually, it is always better to automate the application. 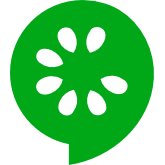 Selenium-cucumber and Appium is easy and efficient tool to automate Mobile Web and Apps. Selenium-cucumber provides Predefined-Steps which are simple English sentences to write Automation test scripts. Appium is an open source mobile automation tool. Appium is basically an HTTP server which handles interaction between your Automation test scripts and mobile device. Go ahead and see how to do it? 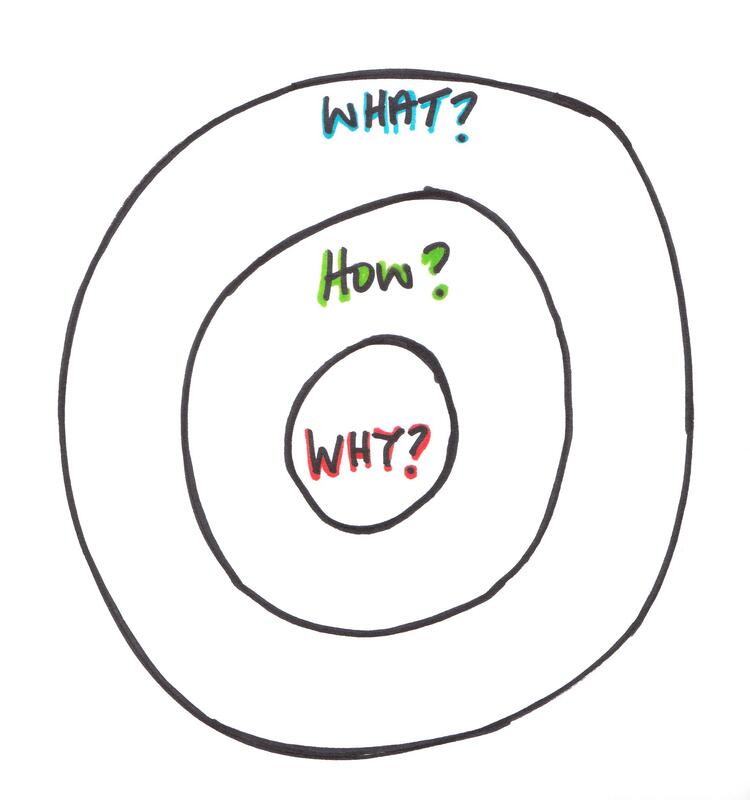 There are multiple ways to do same thing but, we always prefer the optimized way. Same is the case for locating Android app elements. 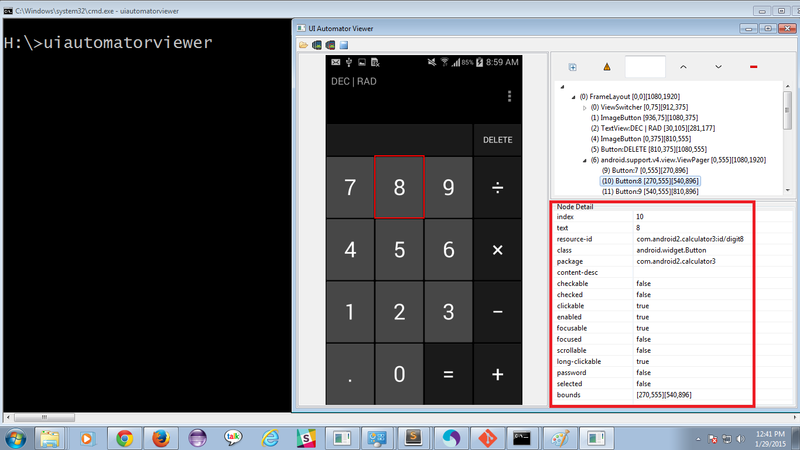 The uiautomatorviewer is GUI tool to scan and analyze the UI components of an Android application. It provides a convenient visual interface to inspect the layout hierarchy and view the properties of the individual UI components that are displayed on the test device. How to use a uiautomatorviewer. 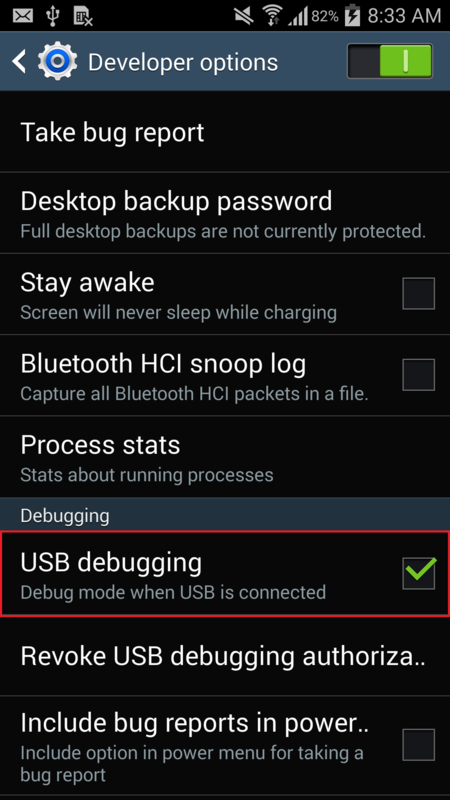 Connect Android device to the PC using a USB cable and enable USB debugging option from “Settings -> Developer options” . 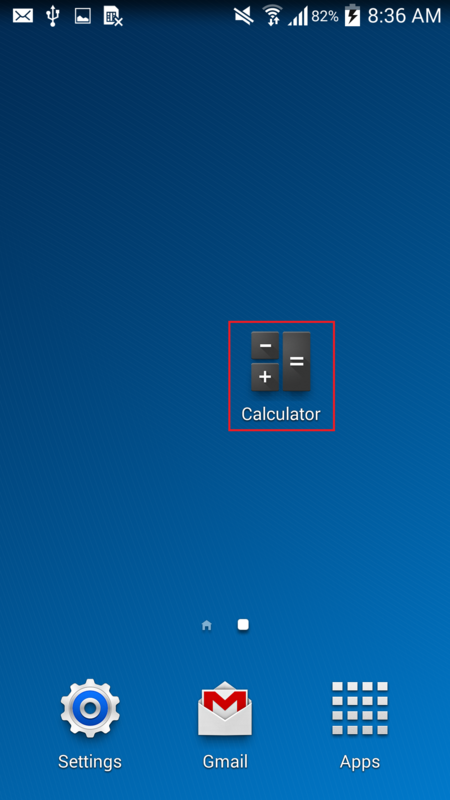 Launch your test application manually by tapping on the application icon (Here we are using Calculator app). 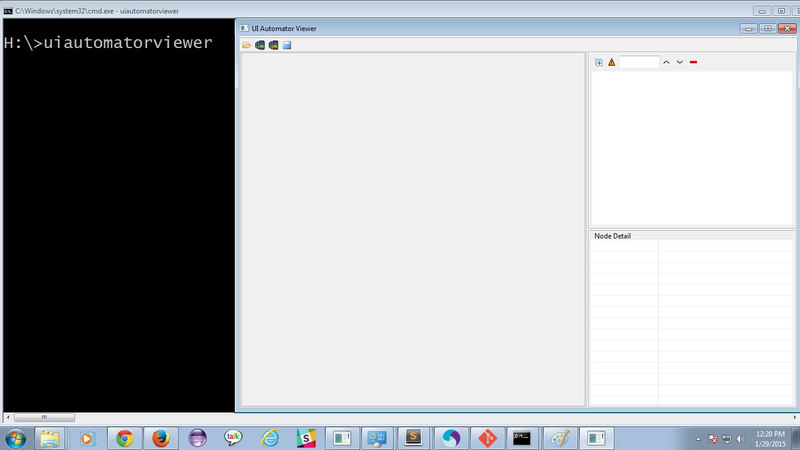 Now open command prompt/terminal and hit command uiautomatorviewer. This command will open an empty uiautomatorviewer window. If any element does not have id then use xpath to locate the element. (Lets consider after tapping on key 8 you want to assert text 8). E.g. 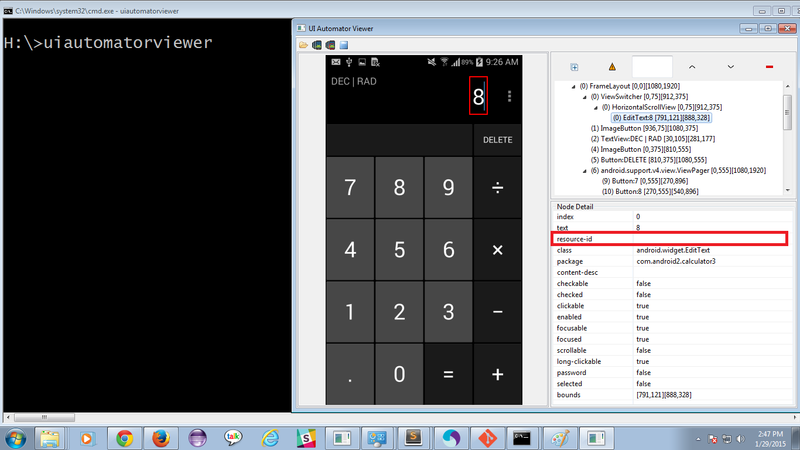 : XPath to identify the text 8 in the calculator app is “//android.widget.EditText[@index=0]”. We can use ‘text’, ‘content description’ and other attribute to write xpath. To get information about Appium Inspector refer this link. Make your automation script more Readable! Meaningful! Maintainable! Just writing automation script with predefined steps is not enough! It will be easy to write but difficult to understand and maintain in near future. Let’s take example of Facebook Sign-In. As a user I should able to sign-in into Facebook. Given I navigate to "https://www.facebook.com/"
And I enter "abc@gmail.com" into input field having id "email"
And I enter "123456" into input field having id "pass"
Then I click on element having id "loginbutton"
Easy to write – Just copy & paste predefined steps and put parameters. Need to guess/verify on which field interaction is going on. The user data (login credentails, test link) and object data (i.e. elements id, class, xpath) may changes, then need to do changes in script, multiple times. Now let’s garnish above steps with meaning-full sentences. And enter username as "abc@gmail.com"
And enter password as "123456"
Run script and get implementation suggestions as follows. 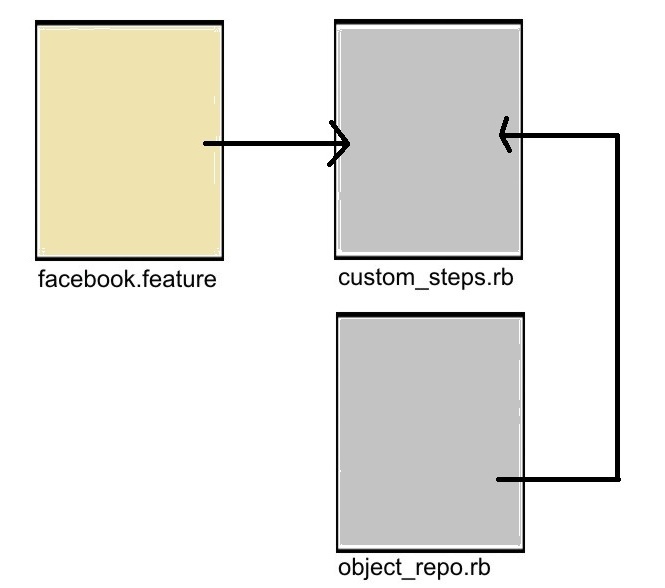 Now copy above steps and implement it in custom_steps.rb under steps_definitions like following. Still object data (i.e. elements id, class, xpath) are hard-code and might be used multiple times. So let’s create object_repo(page_objects) which contains variables which will store elements’ locators. This way you can make your automation script more readable! meaningful! maintainable! Thank you readers! Just executing test-case is not worthy, It need to be verified that changes has been reflected or not in-order to make it pass or fail. E.g. If tester enters wrong password on login page it should show error message and tester has to verify that error message has been shown or not. If an automation script executed some test-case then there should be code/step for verification of that test-case i.e. assertion of test-case. selenium-cucumber provides some predefined assertion steps. Using these steps automation tester can verify/assert test-case. As a user I should able to login into Gmail. And I enter username "wrong_username@gmail.com"
And I enter password "wrong_password"
when I click button "signIn"
Then element having id "errormsg_0_Passwd" should have text as "The email or password you entered is incorrect." Selenium-Cucumber : Why? What? How? This platform of selenium-cucumber is like a boon, especially for ruby lovers. To make your life easier with minimal coding and more of testing, here is a chance for you to try interesting stuff with selenium-cucumber. Also it is of a great help for non-technical people who need not have any coding knowledge. Selenium-Cucumber has its own pre-defined steps for testers to reduce their time and efforts in writing many lines of code to test the web applications. It has the API’s for code efficiency in case you are interested in writing custom code for testing web applications. Creating well formatted test reports. More than all it is cross-platform, open source and free. Few simple steps to follow and you can test your entire web application!! You need to have Ruby installed on your machines. To compare two images from same webpage you can make use following steps. You can avail “Image Assertion Steps” for gem version 1.1.1 and above. From gem version 1.1.1 and above feature skeleton is slightly changed. We have introduced four more directories “expected_images”, “image_difference”, “actual_images”,”screenshots” in feature skeleton. Video tutorial about how to use image assertion steps.